The man has got it all. Or shall we say, seemingly, has it all. Family, work, plenty of money. And yet this hungry-frightened-little-boy, hidden in a pompous grown man’s body, parading as our best bet for the next leader of our nation, is screaming for Mommy-Love. He is kicking up sand in the sandbox, and howling for Mommy with every tweet and every reference to the length of his fingers. What is he teaching us? The same lesson some of us need to keep learning and re-learning over and over again. If we are not good enough before we get to that next desired destination (baby, book, soul mate, money) we will not be good enough after. At this early stage of our evolution, money is an instrument of great power in every segement of our society. Still there are some things money can’t buy. You can find lots of followers and sell millions of dollar’s worth of your wares when you appeal to the lowest common denominator; the fear-filled,panicking Orphan, present in all of us. That doesn’t mean that we do not turn ourselves inside out and head in the direction of our desires. As long as we know that the hungry toddler will keep poking her head out of the orphanage and screaming for more, until we learn how to feed her. Once she is well fed, she can become our greatest ally. Thank you, for the lessons, Donald! . What is she hungry for today, the toddler in YOUR heart? I’m realizing that by getting back on track with my OVUM work, I can handle the Orphan tantrums better. I can get very emotional and cry and have a terrific pity party with all of my Orphans. I still have these tears flowing but now I’m able to recognize that it’s my Orphans hosting the party. I’m getting better at inviting my Visionary to crash this party and help take me to a better place. I have to share that I went for a routine gynecological check up today. I hadn’t been to that office since my miscarriage 2 years ago. I was prepared that I may get emotional. I was calm and collected and doing fine…until I was asked a few questions by the doctor’s assistant. Apparently they were updating their computer system and needed some information which I guess wasn’t input. So she had to ask me the dreaded questions: how many pregnancies, children or any miscarriages. That’s when I started crying. The worse part was the conversation I had with this new doctor there who was not compassionate at all. She basically said that since my daughter is 9 and I haven’t gotten pregnant by now, it is what it is. I was surprised by her words because I like the other doctor in that practice who has a completely different view when I used to talk to him. He was the one that would gave me hope when I had my miscarriage. So I took a Visionary step and didn’t spend the rest of the day focusing on her words, like I would have in the past. Instead I went out with my daughter and we spent some quality time together. Before bedtime, we also tried a children’s meditation together which was really special. She and I both enjoyed it. She also told me that she still prays for a baby brother/sister. I’ll take a Visionary step and focus on her special words instead of giving time to the doctor’s comments. Thanks for this insightful blog and helping us to see an Orphan in action. My orphan today was extremely angry about work and how I have to be the one to fix and correct everything including everyone else’s mistakes. And the work is not really that hard to begin with, so it seems very tedious and boring to me now, but it takes tremendous concentration, so I am completely drained at the end of the day. The orphan is so fed up with my current job and the tedious work that I have to do, and feeling like everyone else is so incompetent that it’s all up to me. And also sad that I am still not anywhere closer to figuring out what I really want to do with my time and my life. So she is frustrated, but then the responsible orphan gets back to work because, well, she’s the responsible one and she can’t let all these people down who depend on her. I have been doing Ladder of Light to try to help the orphans escape. It is a never ending stream of them every day. And for the kind helper, I picture my vet that recently passed as she would have loved to meet them and be with them. I also have to share something that is kind of difficult but I know I need to tell the truth. I had a reading with a medical intuitive last week and among the health issues we discussed were my fertility challenges. And she said, you need to deal with your ambivalence about being a mother. And she is right. For all the longing that I have to have a baby, there is a strong part, maybe an orphan, that actually doesn’t like children very much. And hasn’t spent a lot of time around them and when she does, she frankly doesn’t know what to do with them. Many times Julia has asked do you want to be a mother unconditionally, and I have said no. I want a biological child, but being a mother in general is a scary thought because I am very inexperienced around kids and I know that it doesn’t come naturally to me. Her recommendation was that I need to spent time with actual kids so it becomes more of a reality and less of an intellectual exercise. I’m pondering that, and of course it would involve spending time with friends with kids who I haven’t seen in ages because our lifestyles clash now. But this explains why I am not taking action like pursuing IVF and only partly doing the practice. The one reassuring thing she said was that she did not think the issue was age so much as this ambivalence and leftover emotions from issues with my mother in childhood. Still so much to work through! My toddler is screaming that I haven’t done enough, whether it’s work, health, cooking, home or family. Yet I put so much pressure on myself to balance home and work that I’m so physically exhausted that all of these viruses are taking a toll on my body and I need to be more gentle with myself. I need to comfort the toddler and let her know that it’s ok to take time for me and that I am where I should be. I’m trying to give more power to my Visionary and have her lead me to a calmer and more peaceful self. I was driving to yoga yesterday and I realized my pouty toddler orphan isn’t quite right. She’s there, sure. But a stronger one right now is that rebellious orphan. She’s the one who is fighting back, stubborn, angry and defiant. The pouty one is there too, but the rebellious one is a gritty protestor who is picketing the lines, chanting “Hell no! We won’t go!” and basically telling the establishment and “the man” to take a leap. But who she is really protesting against is ME. I’m fighting myself by resisting improvement on any level. I’m so pissed off at the powers that be, so I’m staging a sit-in to get attention. Yet all that is going to make a difference, I am not yet doing. I keep thinking my bullhorn-loud voice screaming about the injustices done to me will make a change. Less words, more action, right? Hi everyone – I’ve been reading everyone’s posts, but kind of quiet. At first, I thought this would be easy to answer, but it’s actually been a bit harder than I thought. My orphan is the one who is not confident in the decisions she has made and is making. The one who second guesses everything – the food she is eating, the fun she is having, the person she married, the career she chose, the outfit she wore today, the stupid thing she just said, even the desire to have a child. She exhausts me. Sometimes I literally tell her to just shut the eff up and let me relax a little. Probably not great parenting of my orphan. These last few weeks I have been working with Speak Your Peace in Body Truth and Healthy Lining in Imagery. I like the chant in Speak Your Peace. I used this before my doctor’s appt. And I like picturing coating my uterus with the healing salve, even though I’ve never been diagnosed with endometriosis. I’m kind of paranoid about my lining, so it seemed a good one to focus on. I just wanted to let everyone know about a patient I just saw. A 50-year old woman with a 14-month old and a 3-year old. Spontaneous pregnancies, uncomplicated. Made me happy :D.
I have heard ‘Speak your Peace’ a few times. And there’s this stickler orphan in me who says it should be “piece”. is it “piece” or “peace”? It should be “peace” right? But my intellect can’t grasp it. And i can’t get over this to let myself do this exercise. Feeling all of that, Sparxy. The doubt/second-guessing orphan is big for me, too. Right now I’m stuck trying to figure out if I should go to the RE consult on Tuesday. I don’t want to, but feel like I should. But really, I don’t want to. But I’m also so damn tired of NOT getting pregnant after 3 years. Ug. But I had to tell you, that comment about the 50-year-old mom was exactly what I needed to hear. Made me happy, too. So thanks! My toddler is so very loud these days. She wants nothing more than to stand in the middle of the room, cross her arms, stomp her feet, stick out her bottom lip and scream “I don’t want to!” She wants others to do the work for her, or she’s mad that others can get what she wants without “earning” it. She feels she is owed a reward for doing the work before or for having life take a crap on her previously. She is sick and tired of having to pick up her toys and do her homework and brush her teeth. And yet, the V in me realizes this toddler is only rebelling against herself. God isn’t going to hear the commotion, take a peek and go “Oh man! I screwed up! Sorry about that. My bad. Here’s your baby. Go have a Snickers.” It’s only her who will be hurt by her rebellion. But that doesn’t stop her from having a holy fit right then and there, all the time. It’s liberating to see her for who she is, though. And like I have done with my real toddlers, I need to learn to not give in to the tantrum. The other day my son didn’t want to wash his hands. He’s a bit older than a toddler now, but still, he got defiant about hand washing and let me know he wasn’t into it. I heard him out and then said, “Good to know. Now go wash your hands.” No stress on my part, just a calm tone and attitude. Because really, dude, you’re going to wash your hands. It’s not up for discussion. I need to adopt this same attitude with my toddler orphan who is pitching a fit about imagery, dream reading, body truth, juicing, charting, doctors, IVF, etc. etc etc. Let her rant, and then do what needs to be done. All without buying into her drama. Great call last night, mamas. I am honored to be on this road with you all. Butterfly, you make me laugh every time I read your posts. I want to meet you in person. “Here’s your baby, go have a Snickers.” I am chortling with glee! I need you to be my orphans’ mom. They need to be told to do their stuff without fussing as well :D.
I just want to thank the other callers on the last GMT teleconference. K you were so inspiring. On the call before last I had talked about speaking my truth and how open to vulnerability that made me feel. Julia had said to me that “there is strength in truth”. For some days I felt as if I had cut myself wide open, and this orphan who really didn’t want to take responsibility for her life and who just wanted someone else to take care of everything really came to the fore. But gradually things have begun to happen to help me see that I really can reclaim my life. I visited my parents grave and took some incense, as is the tradition in japan (where I had been living until recently). And for the first time I was able to sit and be with mum and dad at peace, and not feel I had to rage at what had happened to them in that place. That’s a huge snowflake of healing for me! I did not realise it at the time, but later I got goosebumps when I realized that it was 10 years to the day since my Dad died. I’m glad I could help in any way. I’m loving your comment about finding a snowflake in the peace you felt at your parents’ graves. I’m still waiting to find peace about my own losses. I am still in the anger and denial phases. I miss both of my parents and feel way too young to have to go through life without either of them. So it helps me to see that it’s possible to have healing come from this. Thank you! I am changing my user name to RuthNoddfa as I am now ready to dive into this work more fully, and that means writing about some of the other people in my life to some extent. Noddfa means “sanctuary” in Welsh. I choose it because I know that I am moving towards the security of the home that I have longed for and the life that I had once intended to lead. I really do know that now. Oh Ruth, you are so inspiring in how you are reclaiming your life. It is beautiful to read and to hear about your shifts and your healing. Today my toddler really wants to rest and have someone else take care of her. Kind of tired of putting on a good face when I don’t always feel that way. She really would like a break from work for a bit and just be pampered and it be all about her for one day. Heather, I’m sorry about your mom’s struggles and peacefulwarrior, yay for sharing feelings.Chayim congratulations on your little one and mlee, ooh tiredness.Great breakfast Harmonious Life and thank you also for the sweet thoughts and book recommendation and attention, yes, fearlessRose. Gutsymama wow dangling grief is a powerful image and Mother 2Be self-care attention orphan is a tough one. You are doing a lot of good work Annabell and Esperanza yay for loving your unacceptable orphans and I am sorry about your dad. I have been doing Land of Haves Fertile Heart imagery and pregnant/confidence body truth. I’m really still working to care for myself more. My toddler wants to be loved and heard and supported. Sometimes I try to imagine what a wonderful encouraging voice would say – that would know just the right thing. That is comforting. My toddler wants to be held, soothed, and loved. I have this vision of her being rocked back and forth ever so kindly and gently.This week has been a difficult one for many reasons. My beautiful and strong mother has been struggling with her Parkinson’s a lot recently and watching her frustration at her inability to control her speech and movement has been overwhelming, the idea of losing my mom to this or watching her deteriorate has been so hard. 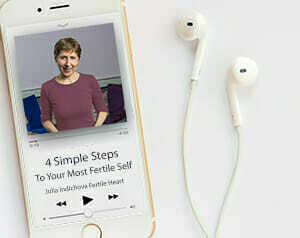 When she was diagnosed a few years back she told me she finally understood what I felt about my fertility struggles…the inability to ” fix yourself” and feeling like you have no control…the clinics, the doctors, the medication, you keep hoping the next phone call or email or visit will change something. The toddler in me wants to wail but be comforted too. The toddler in my heart is yearning to be heard. She realizes that sometimes she doesn’t ask appropriately and her expression looks more like a tantrum than a Visionary way of communicating. The toddler wants to be loved and supported. She feels that for many years she had to bottle up her feelings. I grew up in an environment where feelings were not important or used against me. So the toddler wants to now express herself. It’s difficult for me to sometimes express myself fully. And when I am given an opportunity to speak about my thoughts or feelings, I freeze up. It even sometimes takes me a while to truly check in with myself and find my thoughts, feelings or opinion. But since doing the OVUM work, I have learned to share my feelings more productively. Thank you Julia for giving me the tools to find my voice! I can believe that feelings are hard to express, or even hard to feel. I totally hear you when you talk about freezing up when you are asked to express yourself. Here is to finding our voices! Living in Europe and watching the American election news started off as being almost comical and is now terrifying. I do see Donald Trump’s behaviour as being very orphan driven. It scares me that he has generated such devotion from others. The toddler in my heart is the one who has decided how things should be rather than always accepting things as they are. It is easy to get caught up in the mayhem of the everyday and to forget to breathe and take a moment to reflect and trust. It is so easy to forget to stop and smell the flowers as you move through life. I am at the early stages of this wonderful pregnancy and it is strange that now that it is here, I have to adjust to the next stage of the journey and change from striving and pushing to nurturing and slowing down. It is so amazing to be part of this fertile community of wonderful Mamas and I am ever grateful. I had a similar reaction to the Donald Trump phenomenon, also living in Europe this year, it seemed far away and later it threw chills down my spine. He does appeal to the lowest fears and people are also attracted to the money he represents. My toddler is learning how to say yes to what is, instead of saying yes, but…and look for what isn’t. I find it is about trusting myself more, my body, my husband. I am so happy to hear about your pregnancy, and grateful for your company on this journey. I realized after reading this that I have been reacting to my baby journey the same way I have been reacting to Donald Trump – filling with fear, avoidance, and running away. The last few weeks feel more like a struggle than a journey. I’ve fallen behind on the FH practice because it all just feels too hard right now. And at the end of the day, when it’s time to do FH, I just feel tired and overwhelmed, and I have run away, avoiding doing the hard and necessary work, feeling like I don’t have the emotional strength to invest. The toddler in me wants to feel like something in her life can just be effortless. She wants to stop beating herself up over every little infraction but doesn’t know how, fearing that those small infractions are keeping her from growing her family. She feels like the fact that the baby is still not here is her fault and the negative pregnancy tests are just more of a punishment. This orphan is tired. She is tired of evaluating her cervical mucus, tired of analyzing everything she puts in her mouth, on her skin, tracking her cycle, juicing kale (which let’s face it folks, tastes like s—! ), fighting against her italian heritage to not eat bread, tired of working on her marriage. She is tired. She just wants to lie down and take a restful nap and let someone else solve the problems for a while. Just as long as the person solving the problems is not Donald Trump. Ah, how I can relate to this post, Mlee! I feel like I wrote it. I’m in the exact same place right now. I’m calling it my “who gives a fu**” or “whatever” orphan. Just so damn tired! I realize I’m feeling so tired because my orphans never shut up, so even though I’m not doing the work, I feel like I have been because it’s exhausting dealing with those pack of crazy orphans 24/7. Know you aren’t alone in your feelings, Mlee. butterfly, thank you for your support! It’s great to know we’re all together in this journey. I heard you on the call last night and I can relate to your struggles as well. I recently had an epiphany though that has changed my course this week that I thought I would share. I realized that all of the other women in the world, their experiences, good/bad, their decisions, their blessings, their shortcomings – all of it, is not me. It is them. Everyone has their own story. It doesn’t matter what others are doing. I just need to do me. Be me. Experience life from my viewpoint. It sounds simple but I just got to the point this week where I could articulate that that is the next visionary step in my journey that is truthful for me. I liked how Julia asked us last night to know who is speaking – is it the O, the V or the UM? Today the toddler in my heart was hungry for home cooked fresh breakfast in the morning. It wasn’t easy because i had to go for cycle monitoring at the clinic before work. But I am happy with the outcome. Leftover breakfast is now my lunch. As a European, whenever I see Donald’s crazed tirades on tv, he really does look like a toddler who is having a full-blown tantrum, throwing all his toys out of the playpen, crying for attention from his mommy. Just that there is that very worrying detail that he will probably be a contender for president of the USA. Fear fills my heart to think he even has a chance at trying to succeed! The toddler in my heart today needs to learn how to live without drama and suffering in her life. She loves to suffer so much – just to show that she is the one who suffers the most and, therefore, is a “pure” person. She wants to sacrifice herself for so many things so that she does not need to grow up and the “adults” will not notice that she is just trying to get attention. This O is a new O whom I just encountered this morning. What a surprise that was – though, the V within me realises that it is not that surprising given my love for dramatic situations and my love to suffer at work (e.g. workaholic when I am at work), at home, amongst her family and with her friends. So, now, my UM is thinking of ways to nourish this little toddler so that she can heal well and stop feeling so desperately in need of attention. She needs her Mommy to listen to hear and cuddle her so that she can grow into a well-rounded being. I am going to start doing Field of Creation to listen to her! This is such a beautiful blog post. 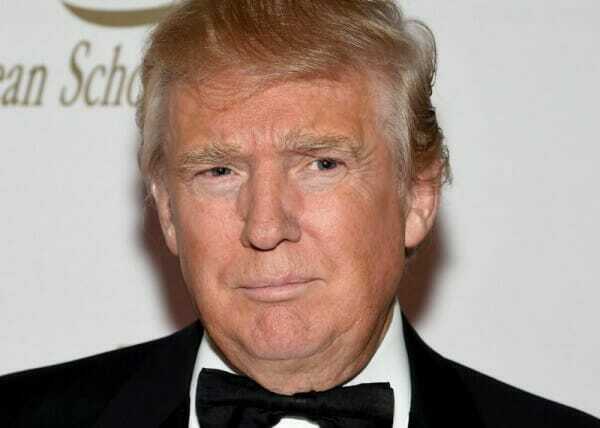 Hats off to your creativity for looking at Donald Trump for life lessons in Fertility! I would have never imagined that this person I despise so much and is so full of himself, may one day help us uncover our own toddlers in our hearts. Today the toddler in my heart is hungry for a moment of rest. She wants to just stay still. Take a very long nap and sleep for a while with her mommy by her side holding her hand not letting her go even for a minute. She is screaming and kicking and resisting experimenting with many different medicines. She says No more. I don’t have the energy to cook every day. I don’t have the mental energy to take my medicines every day. She is running out of patience. She just wants not to be bothered to always take actions. I don’t know if this is a visionary or an orphan. But she is just really exhausted. She is complaining about the long hours I have been putting at work. She wants me to come home on time. She wants me to tell her good funny stories. She wants me to read her all Harry Potter books NOW. She does not want me to always think of my future baby, but attend to her in the present. Show her that I really care for her first. Great quote gutsy. I needed that today. Going to work on that. This post tickles me to no end. Seeing Donald as a toddler makes him adorable. Finding my own orphans even remotely adorable is a long way off. Why can we see the best in others and struggle to find it in ourselves? Today my toddler wants more attention, she wants to know that there will be time for her when there is another baby, she wants security and a guarantee that nothing bad will happen again. When she gets the love she needs I can see that she is going to be a great ally. She’ll be the one making sure I take precautions to stay safe and take time for regular self care. Right now I just have to figure out how to give her the love that helps her transition from Orphan to Visionary. Sounds easy, doesn’t it? My hungry orphan of the moment wants to be heard and understood. She started off by feeling she wanted to be loved. But deep down she knows she is loved. But because she feels she isn’t heard this makes her feel unloved. I feel I don’t have the space/opportunity around most close friends and family to express myself fully, for my relationships to include all aspects of my life, of which my fertility journey is of course one, and an important one. It’s by no means the only thing going on in my life and I certainly don’t wish it to be my only topic of conversation – but I want there to be space for it, as and when it feels right to bring it up. I want to be seen and heard for all parts of who I am and not have to box parts of myself off and pretend they don’t exist. The orphan gets angry about this. And is also surprised by it, as I never anticipated loneliness and a sense of disconnect from some of the people I love dearly to be a dominant part of this journey. I’ve been working with Field of Creation to try and figure out how to nourish this orphan. Different images have come up: using tools like journaling, posting on this blog, being a part of the Teleconferences to express myself and accepting that I may not be able to do so to friends/family in this moment. In another image I saw myself approaching friends and telling them what I wanted. Which feels quite scary. My famished orphan tendency is to go into close down mode around people when I feel let down (in any way). I hope to find a way of nourishing her, so that this patterning can be released. I can see how boxing off a part of ourselves with our close friends and family can be stifling and frustrating. I have to say that I realized how scared I was to share with my mother about the phone circles, for the fear she would ridicule me. But when I did share about the work we do with Julia, she was in awe and wanted to talk about it. And recently, I had three girlfriends ask me about these calls I am on, because I mentioned it when I had to leave a concert early to join the call. they said: ‘Why would you want to leave the concert early? What calls are these anyway?’ I was glad to open up about it, but felt inarticulate, as though I had no words to express why this work is important for me. I was shopping around for words, trying to explain the work, but finally decided I don’t need to explain myself, that it is an orphan who thinks she needs to always explain herself to others.. It felt so good to share how important this practice is for me, and realize that they don’t need to understand. They were curious and asked about what mattered to me, and I was thankful for that. I love this perspective and this opportunity to see things differently. I am experiencing the same degree of demand for attention, love and compassion from many parts of myself that are abandoned in the orphanage. It is easy to react rejecting them because I have learnt that are not acceptable parts of myself. When I was working with the imagery cutting the cord, I felt so much pain every day I sat down with my feelling of abandonment when my dad left, and all the difficulties in the dynamics of our relationship. I grieved and cried… Doing this work and witness other women in same process allows me to deepen my understanding of the beautiful experience of being alive without faking. Somehow I though it wasn’t acceptable to have Donald Trumps like little orphans, and I was convinced that none out there but me have this parts within themselves. To slowly start to love this “unacceptable parts” is bringing me closer to my own heart. Julia I could relate to the fear-filled panicking orphan orphan in all of us or so many of us. My toddler is screaming for comfort and reassurance -really just screaming for Mom. Harmonious Life that is great that you’re seeing IVF as a diagnostic tool and wonderful for the feeling that God is watching over you! Moving Forward I really feel we all need to be comforted also.ChoosingGrowthand Vision wonderful about being our own mothers being so important. I have been doing Cutting the Cord Fertile Heart Imagery (imagery II)and Elbows First Fertile Heart body truth. I feel I can help my daughter more if I can avoid being sucked into orphan to orphan interactions. It’s been rough lately, but thank goodness for help. One of the things that’s been really good lately is I’m trying, when I’ve been experiencing strong feelings, to really experience what part of my body is involved – inspired by Welcome Home body truth. That has been very interesting to, in the moment, just focus on my body. Another thing is because of my daughter’s challenges, I sometimes feel people are judging my parenting skills because her behavior can be so unusual. I have been working with the Land of Haves – creating an image of me in the Land of Haves and having others say what a terrific mom I am and why. I can relate to the challenges you are experiencing on your journey with your daughter. I am so glad that the imagery is encouraging you to value your parenting skills and to minimise the judgements from people who do not understand the true situation. I too am learning to dig deep and always prioritise my own thoughts and decisions about my daughter. What a beautiful name you have chosen for yourself! I really admire how you acknowledge other fertile mommy friends first and consistently. You are an amazing woman. Kudos to you for creating an image of yourself receiving praise from others about being a terrific mom. But you already are a terrific Mother. I thought of letting you read a review from a nanny on a parenting book . What she says in the comment is very valuable. I thought it would bring some comfort to you. The bottomline is, it doesn’t matter what others think about you. What matters the most is what you think about yourself. This review is for a book by Marion Winik (i haven’t read it yet) named ‘The Lunch-Box Chronicles’. I am adding this comment without having a direct relevance to the blog. I promise to add a comment at a later time answering the question here. I want to thank you for the gorgeous call yesterday. You asked me (paraphrasing) what changed that has brought out the good parts of me into action. I wanted the answer for myself. Right after the call, I read through my notes in the journal and on my phone that I have taken about my practice and paid close attention to my activities on those date. And I realized what exactly helped. I want to share that today. The one thing that made a difference for me, was the commitment nudge/experiment that you offered for us in the Introductory series. We would write whether or not we practiced that day, and the question that counts for me today is. This seemingly simple exercise helped me deepen my relationship with myself. I added a comment more or less regularly for 10-14 days. It was during this time, that I had a revelation. I had thought of a question that counts for me today, reached deep within, and asked it, and wrote down on my phone/blog. It was almost like saying a prayer or a wish. The same morning only after a few hours of asking this question, while not thinking of it, I had an epiphany. As if it was the answer to my question. it was a metaphor that I could look at life as if I am on a subway ride. I was on the subway when it came to me. It’s like life goes on like a subway. Many stations go by. You will know when your time to get off comes, and you may find your child waiting for you there. For a higher price, you may go on a fast track at times, and see different set of stations at a different pace (not necessarily always faster), but it’s a different subway line. Taking IVF treatment may feel like this. And it is okay if I decide to do IVF. I am looking at it as a diagnostic tool. It may take me closer to my biological child. I know that this is the step that makes the most sense to me at this point in my journey. The subway ride metaphor helped me understand that it is okay to give up control. The train will always keep moving, and keep stopping at different stops. I will be safe if i give up control over outcomes of my actions, or not think of where the subway is headed at every stop, but keep my longing alive and feed the right bird in me. I remember feeling so overwhelmed that tears rolled down my cheeks (i rarely cry outside of the privacy of my home). It was a rainy morning in NYC on a Friday while I was returning after a cycle monitoring appointment back to work. And I simply thanked God for being there, and knowing that He is watching over me. He is communicating with me if I keep my eyes, senses and heart open to the gift. Such events in my life have been very rare and no experience was as vivid as that one. But I know that I was able to experience that moment only because of the fertile heart practice. So thank you again Julia. p.s. I resumed my practice from today, I have started small, but I have resumed, and that’s what matters the most. Thank you dear HarmoniousLife, so glad I get to share some of this stunning subway ride with you! Sending you love this morning! Thank you dear Julia! Your comment made my day so much brighter!!! Thank you :) I thought of your comment while I was on the subway today. I don’t take it on daily basis. These days I take it only for doc office appointments.Your comment brought a smile to me and turned a hectic day into a calmer day – reminding myself that i do need to let go. The toddler in my heart is hungry for guidance and direction. She is feeling helpless and conflicted. She is confused. As a result the toddler is hungry for a straightforward answer and a guarantee that everything will be ok. She is lying on the ground and wimpering, longing for a time when life was more simple. Longing for the Ultimate Mum to hug her and to tell her that everything will be ok – to tell her that she will be helped. Longing for a time when 2 + 2 = 4. Imploring the UM to lift her up and put her gently to sleep with a reassuring hug. As I forge ahead helping my little girl whilst wearing the war paint of the warrior Mum, somewhere inside me is this little toddler. As I push ahead full of courage, I recognise I need to be kind to myself. No one can see into the darkest corners of my heart so it is up to me to seek out the UM within to soothe and reassure. I am still learning how to feed the toddler and to quieten down her screams and protests. I must listen more intently first- listen softly to that voice so that I can reapply my war paint and adopt a more focused and confident stance. Thank you Julia for reminding me to be still, to wait and to listen to the raucous voices and then to rebuild a more authentic life. Love to you and to all the fertile mamas!!!! I love this post. I like to think of myself as a fairly evolved person, and, in my work life – I’m a pretty thoughtful psychologist has always been able to find empathy and understanding for most anyone. So why have I not been able to watch more than five minutes of Donald Trump without descending into an unproductive and unreflective panic? My muscles tense up, my breath gets short and I immediately begin to ruminate about what it means that someone this terrible is dominating the media’s attention and actually has a chance to attain the most powerful seat in the world. I cannot think productively – I dare not feel more than a surface-level surges of outrage and anger at this ridiculous and dangerous man that I feel forced to take seriously. Thankfully, this post recasts Trump as a terrified little child, hungry for Mommy Love. He is much easier to stomach from that angle. I can have compassion and understanding (for a moment at least). The state I get in when I think about Donald Trump reminds me of the state I get in when I think about whether or not I’ll conceive again. I am terrified and frustrated. My thinking gets problematically simple and goes on a loop. If I can remember to see myself too as the terrified child who is hungry for Mommy Love – I can reframe my life, my prior choices and my struggles as injured children calling to be heard and healed. I can reframe this era of disappointment, panic and self-blame as the time when I truly began to hear and show up for myself. My inner toddler needs me to hear what she’s crying and confused about – and show up for her. Bend down and hug her, sing her a song, remind her that even though she can’t have the cookie she so desperately wants right this minute – she can have her mother’s love. And once I give that to myself, I trust that as rewards go- the cookie will pale in comparison. So – what does my inner toddler want? Today, after the great tele-circle, she wants to be supremely healed and able to birth whatever is next for her on her journey. That feels really good. Tomorrow, however, she may just want the cookie again. If and when that happens, I will imagine her and toddler Donald together- tantruming for their wants – in need of an Ultimate Mom to hear their cries, set limits and refocus their attention toward something that will bring true fulfillment – fulfillment that goes beyond money, power, cookies or even babies.